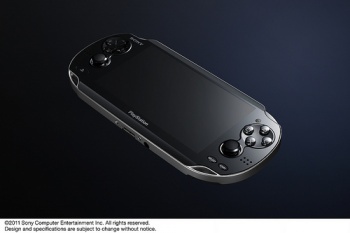 Source: Sony's "NGP Is a Developer's Dream"
Sony gave a presentation to game developers in London yesterday and one anonymous attendee praised the PSP successor's hardware and dev tools. For years, videogame developers have been trying to tell Sony that they need to make it easier for them to make games on their platforms. It seems that the powers that be at the Japanese conglomerate have listened as they held a small private event in London to show off just what the recently announced NGP is capable of doing. Developers will now be able to make games for both the PS3 and the NGP using the same tools, and Sony encouraged them to make games for both platforms simultaneously while keeping the NGP version fresh by adding social media features to the game. The source, who asked not to be identified, was extremely impressed. "NGP is a developer's dream - Sony is finally doing the things developers have been crying out for for years," he said. The demo included titles that Sony-owned studios are making for the launch like an Uncharted game, Little Deviants and WipEout. "The WipEout HD PS3 engine running on PS3 with no changes to the art platform. That means full resolution, full 60 frames per second. It looks exactly the same as it does on PS3 - all the shader effects are in there. "Any shaders for PS3 stuff will just work," the source said. "We won't have to rewrite. What would have taken two-to-three months before looks like it could take just one-to-two weeks now. The architecture is obviously different, but it's the same development environment." Sony is also making it easier to submit third-party games, streamlining the process for both NGP and PSN. Any game that shows up on the new flash cartridges can be up on PSN but Sony didn't just want redundancy. "[Sony] does not want exactly the same game ... [there] has to be a reason for the NGP title," he said. "They want at least some kind of interactivity between the two versions with NGP-only extras." These would be social media tie-ins for in-game items on both platforms. The specific features of the NGP sound interesting, like the touch screen on both sides of the handheld. "The touch pad on the back is fantastic," the source said. "It does feel second nature, like you're having a real impact on the world." You might be able to pick up an object in the game world by pinching the NGP, for example. The mysterious source also gave some hints as to when we'll be seeing the NGP. A non-3G enabled wi-fi only version is scheduled for 2011, while the 3G NGP was listed as "Holiday 2011" which seems to point to it not being available at launch. Dev kits will ship with the actual GPU chip in it soon but due to lack of supply Sony is going to prioritize which game developers get them first. Interested studios have to write up a ten page proposal on what game they'd like to make before Sony will send the kit along. The good news is that it will be simple to get up and running. "A PS3 dev station can take three hours to set-up. This looks like it will take under 20 mins. It just makes everything easier - they've really thought about it this time."